We look forward to seeing you at AAHKS 25th annual meeting on Nov 5-8 in Dallas, TX. Please visit us at booth C.
Transitioning to ICD-10 and the explosion of codes increasing from 14000 to more than 68000 means more specific documentation for healthcare providers, which if not done correctly, it presents substantial risks to cash flow and patient care reimbursements. DocSpera now allows you to access and search ICD-10 codes easily at no cost on the web and mobile device. DocSpera, a HIPAA compliant care coordination platform now enables surgeons to drive efficiency in their surgical workflow by creating secure, efficient and collaborative schedule with their care team and industry representatives. DocSpera, the leading web- and mobile-based platform for verified healthcare professionals, today announced it’s ‘Surgical Scheduling’ feature with new capabilities designed specifically for the surgeons, their care team and medical device vendors. ‘Scheduling’ enables surgeons and care team to do pre-operative planning and management of upcoming cases on a single cloud platform anytime, anywhere. The surgery team is able to view and manage the preoperative information including: patient information, x-ray images and videos, required implants, and much more. DocSpera allows healthcare providers to easily coordinate with all the stakeholders within and outside the organization in one platform while removing coordination errors stemming from disparate systems. As a comprehensive surgical scheduling solution, DocSpera’s shareable calendar replaces all surgical paperwork and lets the schedulers easily manage the practice surgery workflow efficiently and effectively, resulting in increased surgery volume and maximized revenue. 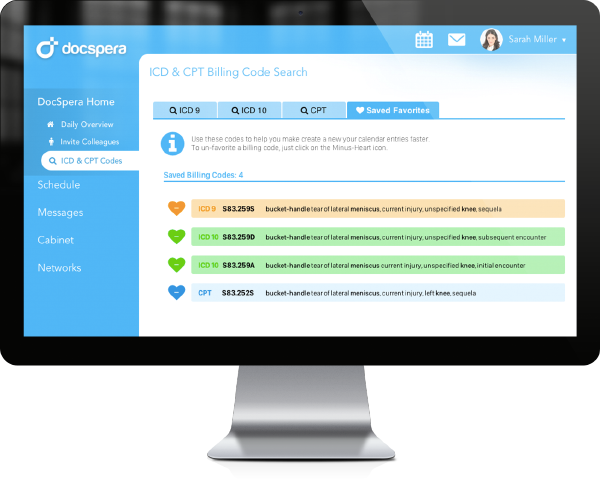 “The DocSpera scheduling platform has been a tremendous asset to my surgical practice. 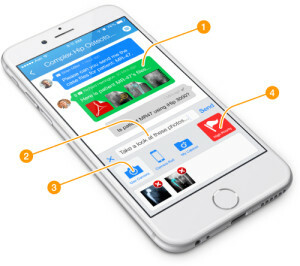 The extremely user-friendly mobile app offers remarkable flexibility and provides seamless HIPAA compliant communication between the surgical team and industry reps, ensuring no preoperative planning or scheduling detail goes unrecognized.” says Dr. Shane Seroyer, Orthopedic Surgeon at Texas Metroplex Institute for Sports Medicine & Orthopedics. Through a rigorous user verification process, DocSpera allows only qualified users access to the platform – ensuring the highest level of security and HIPAA compliance. Healthcare professionals can use DocSpera to coordinate with their colleagues via proprietary encrypted messaging and case sharing capabilities. DocSpera Surgical Schedule is Here! You’ve spoken and we’ve listened. We are proud to announce DocSpera Surgical Schedule, our newest feature. You can now have access to your surgical schedule at your fingertips on your mobile, iPad or desktop, accessible from anywhere through the DocSpera App. Through DocSpera, surgical cases are coordinated across care team, industry representatives and OR in real-time. 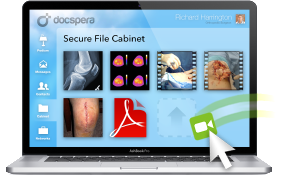 DocSpera Surgical Schedule allows for improved efficiency and elimination of errors by providing critical pre-op information, case images and case status. We are pleased to announce the new DocSpera Messaging designed exclusively for iOS, available now for download from the Apple App Store for free. Immediate Past President, Thomas K. Fehring, MD, has called on AAHKS members who are also members of The Hip Society and The Knee Society to serve “on call” for the DocSpera case sharing Web portal. He has assembled 61 volunteers who will be ready to comment on cases shared through the portal. One volunteer will serve each week for the next year and beyond. “Their willingness to do this will help not only an AAHKS colleague in need of a second opinion, but will undoubtedly help their patients,” said Dr. Fehring. To post images and videos for a difficult case, visit http://www.docspera.com. Click the Login link to register as a physician. Medical Device Customers can now access the HIPAA compliant app, DocSpera, within the Salesforce1 Platform to reach and securely collaborate with their Physician Customers via the AppExchange. As part of this partnership, DocSperataps into the power of Salesforce’s connected cloud technologies to help accelerate business transformation for the connected world. 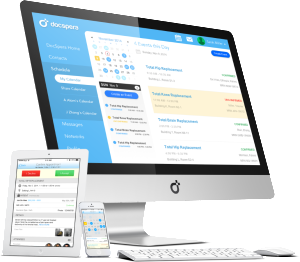 Sunnyvale, Calif. – November 3, 2014 – DocSpera today announced it has launched its mobile and web platform on Salesforce AppExchange, empowering businesses to connect with customers and partners in entirely new ways. DocSpera is a HIPAA compliant secure physician workflow and collaboration cloud based platform. Members improve patient care, and increase physician and medical device collaboration through DocSpera’s web and mobile secure messaging and care coordination solutions. The DocSpera platform allows surgeons and procedural specialists to collaborate with peers, their care teams, and medical device representatives on complex cases, preoperative plans, and OR scheduling including x-ray, video, image and case sharing. “Since our launch in late 2013, thousands of surgeons and device reps depend on DocSpera for their day to day care delivery. Partnering with Salesforce extends our reach and delivers a seamless solution to our customers,” said Sy Fahimi, co-founder, DocSpera. Built on the Salesforce1 Platform, the new DocSpera platform built to transform sales, service and marketing is currently available on the AppExchange at https://docspera.com/appexchange. DocSpera for Salesforce1 features a bi-directional integration between Salesforce and DocSpera that is expected to give medical device representative unfettered access to their surgeons that they support. Medical device teams will be able to provide educational content to their customers, respond quickly to request/questions and access shared operating room schedule & plan inventory for upcoming surgeries. “As part of the Salesforce Partner Program, DocSpera provides medical device representative a cost effective, secure, and direct support access to their physician customers all within the world’s leading CRM platform,” noted Samuel Ethiopia, COO, DocSpera. DocSpera is a Silicon Valley-based tech company focused on helping physicians, their care team and medical professionals drive efficiency and real-time secure collaboration, case sharing, and planning to expedite their workflow. DocSpera provides medical professionals a HIPAA compliant mobile and web-based collaboration and communication platform to enhance patient care. DocSpera, the leading web- and mobile-based platform for verified healthcare professionals, announced today that it is extending its secure collaboration offering to care team members. The company recently launched a new version of its collaboration service, which in addition to providing access to peer physicians and ‘vetted’ medical device representatives, now gives physicians the ability to onboard and control the access for their care team members to streamline the patient care process and ensure appropriate security, privacy and HIPAA compliance. With the inclusion of care teams, physicians can now create more robust networks for image sharing and newly launched video case sharing for improved day-to-day workflow management. Through a rigorous user verification process, DocSpera allows only qualified users access to the platform – ensuring the highest level of security and HIPAA compliance. Healthcare professionals can use DocSpera to collaborate with their colleagues via proprietary encrypted messaging and case sharing capabilities. A secure, institution-agnostic collaboration platform for all non-EMR workflows that is both mobile-ready and compliant is increasingly important for healthcare professionals to improve their efficiency. Most traditional Electronic Medical Record (EMR) systems are limited only to providers within a single hospital system and do not touch most of professional clinical interaction connection points across the care environment, as a result most physician to physician and care team member communications continue to occur outside of EMR systems. This results in slower and more fragmented care team communications as well as unneeded risk around compliance with privacy and security regulations. The U.S. Department of Health and Human Services Office for Civil Rights (OCR) plans to implement random HIPAA audits to monitor compliance, beginning as soon as later this summer. While Electronic Medical Record(EMR) systems have provided some efficiencies in clinical workflows, most of care team communication occurs outside of the EMR systems. The EMR does not touch most of clinical interaction points, thereby cannot cover holistic workflow. Typical email communication systems also lack compliance with privacy and security regulations. Having a communications platform for all of those non-EMR workflows that can be securely used on your mobile device and your computers has become increasingly important for healthcare professionals to improve their efficiency. DocSpera provides a HIPAA compliant communication platform with web and mobile-based solutions that ensures access only to trusted colleagues. Through a rigorous physician verification process, DocSpera allows only qualified users access to the platform. Healthcare professionals can use DocSpera to confidently collaborate with their colleagues within encrypted network and peer to peer messaging. Thousands of surgeons and care teams are relying on DocSpera to collaborate on complex cases, determine preoperative plans and schedule surgeries. The platform offers secure communication within and outside of an institution, provides the ability to store, annotate and forward images and videos and enables sharing of case information with a verified network of physicians and medical device industry representatives. 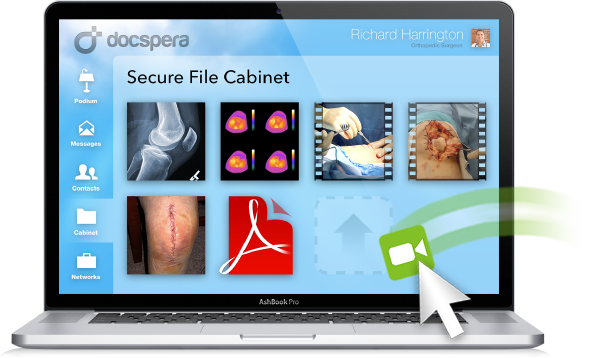 DocSpera, the leading case collaboration platform, provides the ability to share videos on a secure HIPAA compliant platform. Now, in addition to image, document, and case sharing, you can also use video formats for more effective case collaboration with other providers. Sign in and begin exploring the new video sharing features.